We discuss Microsoft’s news of the Surface Book laptop, HoloLens Dev Kit, Lumia 950 and more. We also hear about Oracle’s Cloud focus and its changing business, Toyota and autonomous cars for 2020 Olympics, SuiteBox, DNA testing and the Dell/EMC merger. 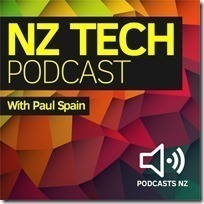 This NZ Tech Podcast produced with the support of Oracle NZ and Gorilla Technology, hosted by Paul Spain (@paulspain) with guests Robert Gosling and Craig Meek. Published by Podcasts NZ – home of NZ’s favourite podcasts.